¡No creo que es hoy-dia de los tacos! Fue nacida en Guadalajara Whoops-I got that “watchasayin, lassie?” look from Kenzie. Just like Ricky Ricardo on “I love Lucy” which they’re probably re-running everywhere, when I get excited I start barking in my native Spanish. 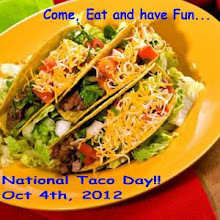 I’m really excited about Taco Day which is TODAY! I was born in Guadalajara Mexico and I’m THE food expert so this is right up my alley. 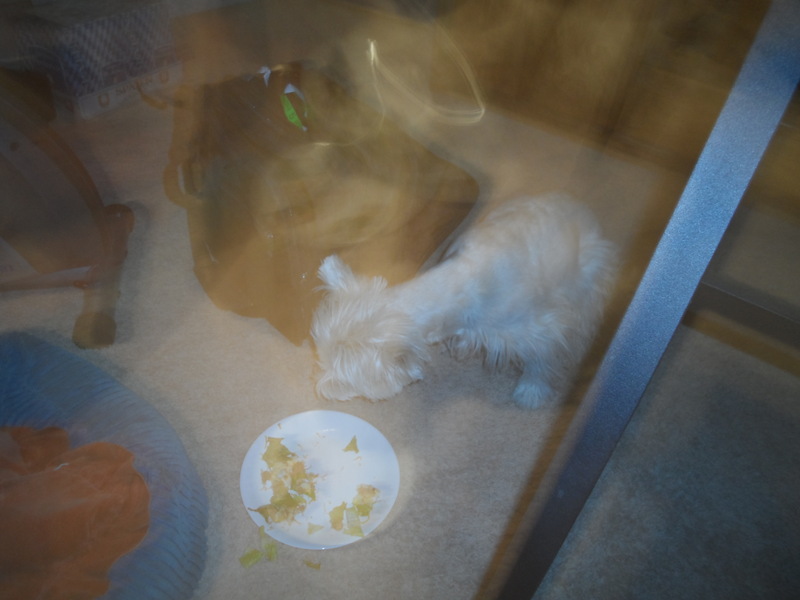 On the day They rescued me, I was on the taco and burrito diet. Even for Arizona in late December it was a cold day but They drove with all the windows open plus the sunroof completely back because I’d been living on bean tacos and making a little noise and stink-no big deal to me but it was to Them. 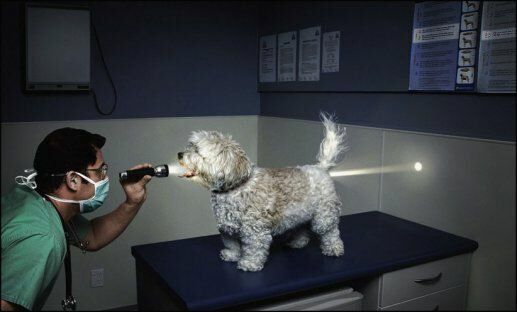 I have to admit it, that time the dog really did do it. 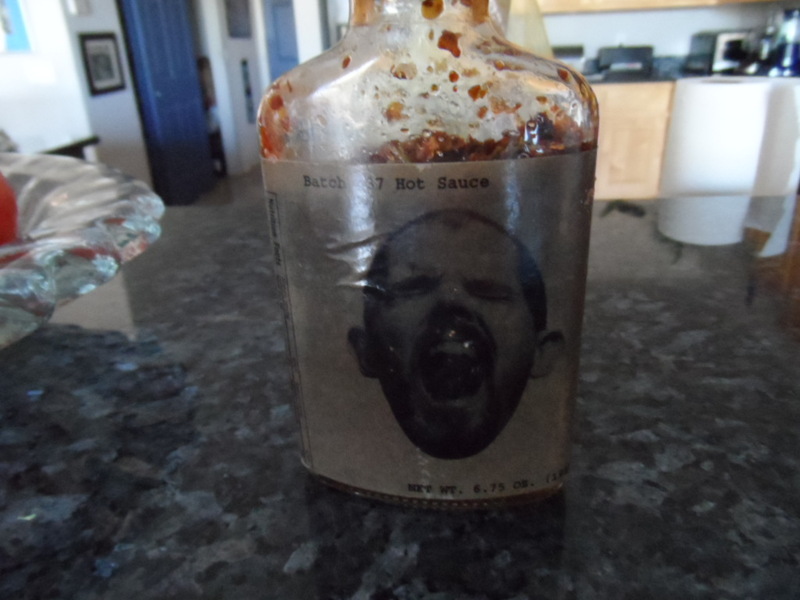 It was a commercial bottle of hot sauce with a screaming head and the motto “Pain is Good” on it. He said to Himself after polishing off the bottle, “I can do better” and He did. There’s a bit of jalapeño for the quick pop and mostly habañero (100 times hotter than jalapeño) for the lingering effect. It is so lingering that if you have some, you know where it is in your body for the next 12 to 24 hours plus you know when it leaves your body. He doesn’t allow me to have it. He tried to grow habañeros outside but a rabbit got them. 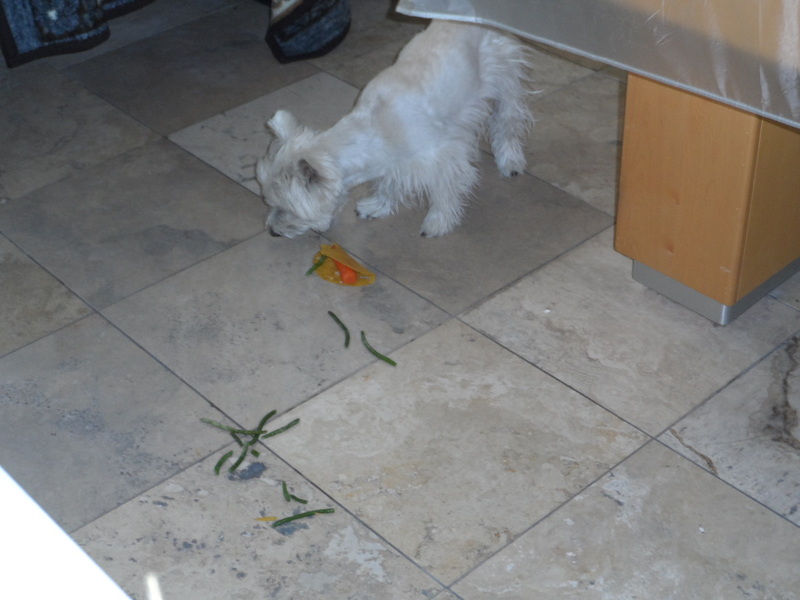 That rabbit ate the whole plants, including the immature peppers. You talk about me, that rabbit blasted off and was there to greet the Mars rover when it arrived. As you can guess, with all the Bugs Bunnies, Roadrunners and Wiley Coyotes we have here, it is Looney Tunes in more ways than one. He makes the hot sauce, lets it marinate a while and then it is ready. Since there is already a 1000-island dressing in the food biz, he calls this “3 Mile Island”. I’ll get back to the tacos-first you put the carrots in and then a layer of green beans. Top it off with cheese and you’re done. Let’s eat! First I showed Kenzie what a real taco is all about. Of course, Kenzie has to get into the act. Kenzie came over to me and said that he tried mine but I didn’t try his. He is so into his ancestral homeland that he makes his tacos West Highland Scottish style. You all know how Scotland is renowned for all its Mexican food??? Kenzie forgets the shell part. What’s that unrecognizable stuff there? Haggis? Oh, well. I had to present to all of you what not to do when making tacos. It looks B-O-R-I-N-G. He’s not looking and let’s zip it up for Kenzie with a few drops of 3 Mile Island. WHOOPS, Kenzie is jet propelled and headed North. Maybe I should have used just one drop of 3 Mile Island. I’m on the case and will be right back after I rescue the little buddy. I found Kenzie in Black Canyon City in Yavapai County. It’s fortunate for Kenzie that he didn’t land on a cactus. I rushed him to the vet who pronounced Kenzie OK but was amazed at how clean his insides were. Hitch hiking? Do submarines take in riders? Three mile island and jet propelled out your bum makes me want to drink milk. Yup, milk does the trick better than water. Que rico taco en tu foto. El gato sobre la mesa. Now I think this brother is gonna have some tacos, or quesadillas cuz I get lazy. However do you get along in Spain? The cat is on the table? Chill out, relax and have a taco. El sabor lo dice todo. They’re MIA – haven’t seen them. Perhaps they’re on the slow boat to the desert? I don’t need them on taco day. 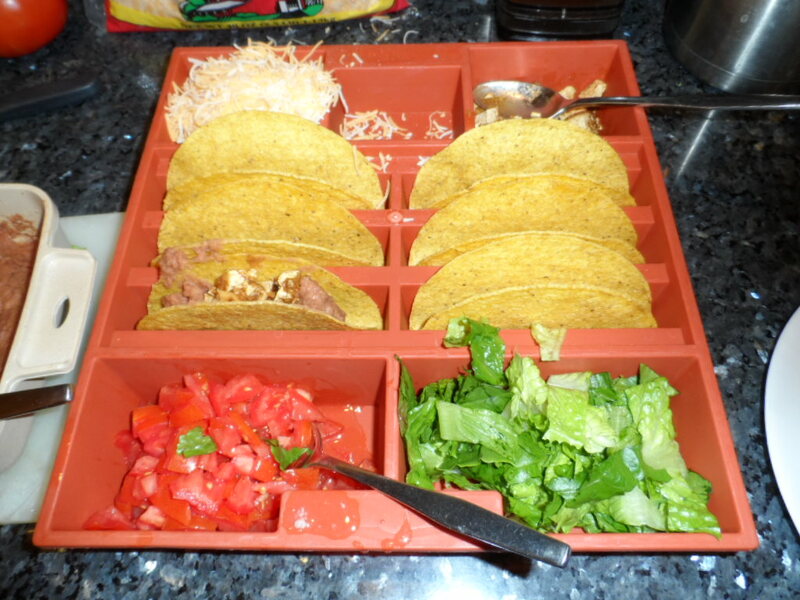 Kyla you were super organised for Taco Day…that tray and the sauce and you don’t just walk the walk, you actually talk the talk – we are very impressed! Actually I bark the bark. Quite right Kyla – how silly of us! Wow, your the taco expert! Your dad’s hot sauce sounds really hot! My grandpeep grows habañero on her garden. She made chilli jam out of them once and didn’t wipe the chopping board properly after. My auntie Nyssa got some of the habañero in her eye… She knows how hot they are! So does my human’s friend Jeremy, he chopped some up, forgot to wash his hands and went to do number one in the toilet… You can imagine the result… Bol!! He was burning in a very sensitive place! Kyla, that was great, Dads down on the floor with us a rolling and laughing, what a taco day. Wonder if they found that rabbit before he launched again. Done use Kenzie with the 3 mile stuff. Pees; Dad looked you little town up and found out he has been through there a lot on his way to Firebird for the Drag Races (not the drags you thinking of), he used to work for Firestone Racing. At least that wasn’t NASCAR at Phoenix Int’l Speedway. They stopped scheduling the big race at PIR on a Sunday that the Cardinals were playing. You should have seen it when they let out together-100,000 NASCAR fans who spent the afternoon drinking beer and watching cars go 200 MPH met 70,000 football fans who spent the afternoon watching 250 pound bodies crashing into each other and drinking beer. Where they met on the freeway was a disaster. He left the football park (no beer, He was working) and there were six accidents in the first five miles. We’d love to have a real tray to keep filling up our tacos…..but that’s not going to happen. We don’t think we’re going to try that 3 Mile Island stuff! Sounds like you had a wow of a Taco Day. A celebration of Mexican food cannot be missed. Better watch that 3 mile stuff!! 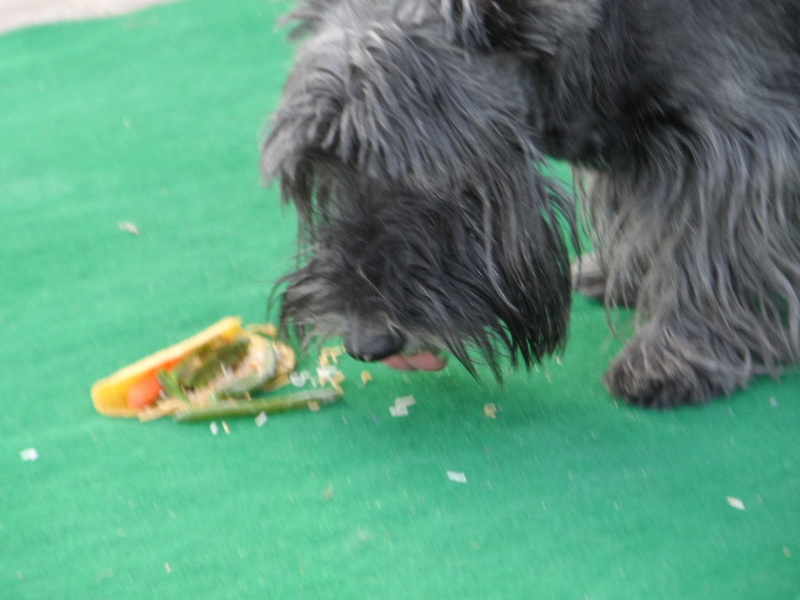 bol Glad that you got to eat tacos!! You should rename it INTERNATIONAL taco day or Global Taco Day or Universe Taco Day. Why thank you. Kenzie is partial to white dogs also. WHOA nellie! Your peep and my peep would get along famously. He grew some Thai peppers over the summer and eats habaneros like they’re candy. Now. About those tacos. Yours look better than mine. How’s Kenzie doing? Maybe he just needs to eat tacos from now on?